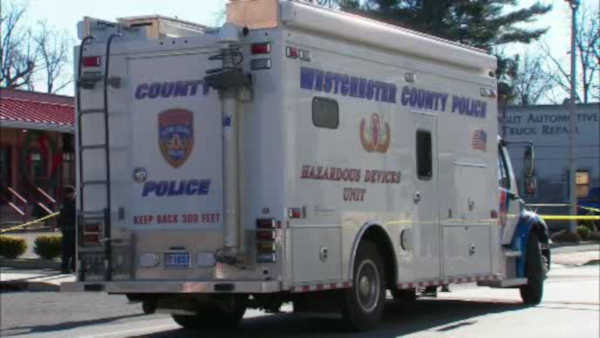 YONKERS, Westchester County (WABC) -- The mystery behind what caused a small explosion in Yonkers on New Year's Day is now solved. Police say it turned out to be a large firework that had been placed in a trash can. The device went off in a parking lot along Saw Mill Road around 9:30 Sunday morning. Surrounding roads were closed until investigators could properly identify it. No injuries were reported, and there was no property damage. Police say they are still not sure if the incident was meant to be a prank.